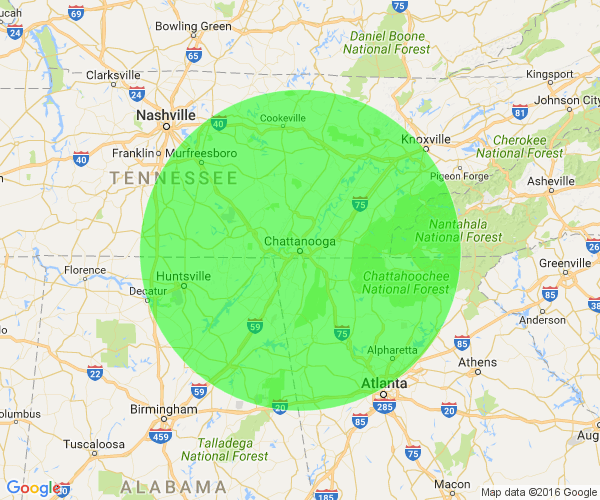 We service within a 100 mile radius of Chattanooga which includes Athens, Dalton, Rome and Murphy NC. For any general concerns, visit our FAQ. Want to work with us? Fill out our form or call 706.956.8565 to set up an appointment for Automatic Doors of Chattanooga, Inc. to visit your location.